I’ve seen all kinds of decorated pumpkins on Pinterest that I was inspired to make some of my own. 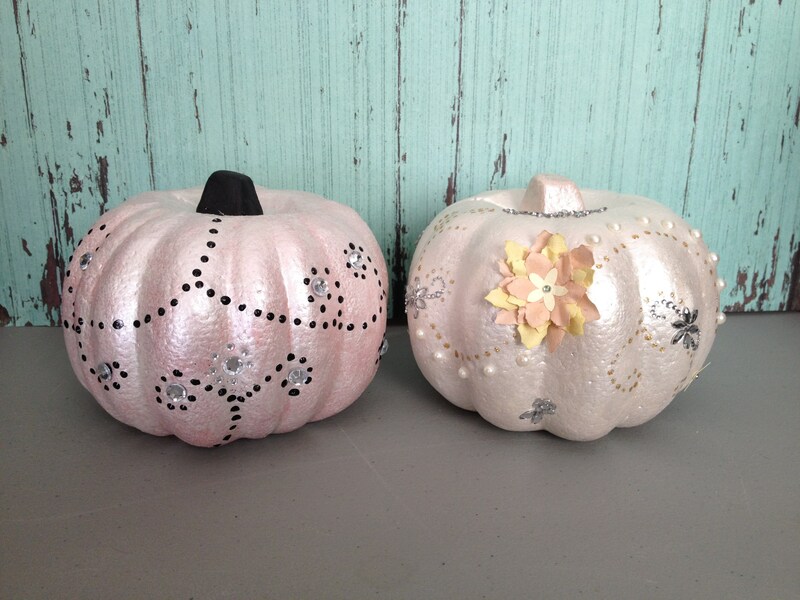 I decided I was going to use dollar store styrofoam pumpkins and only supplies I already had in my crafting stash. Except I did splurge on a 99 cent bottle of Puffy Paint at Walmart. 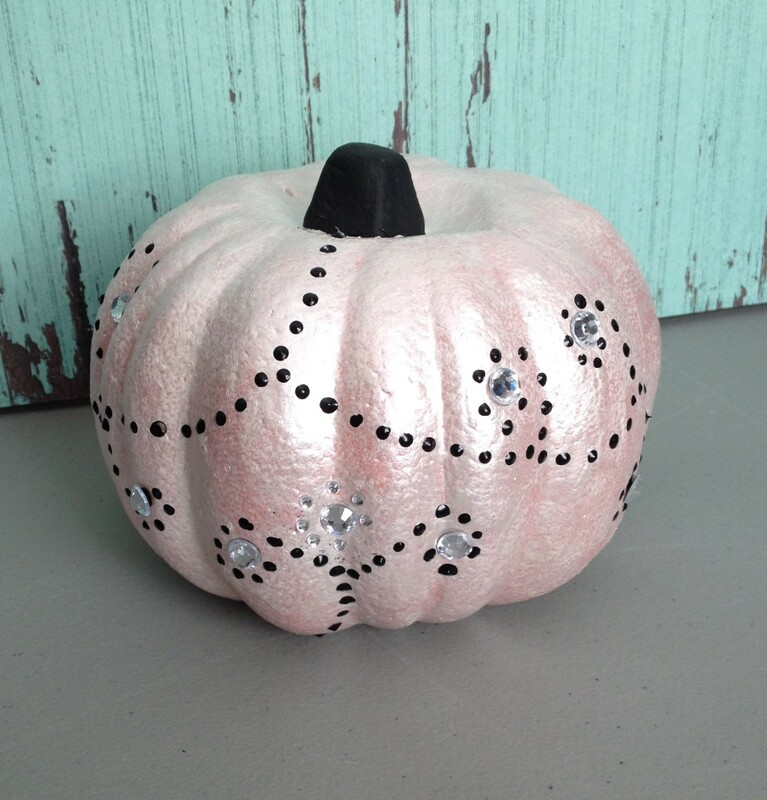 Other materials I used, all from my crafting stash: Martha Stewart Acyrlic Pearl Paint, Tacky Glue, a mini-roller (to paint the pumpkins with), a paintbrush, assorted pearl and other embellishments, and glitter glue. I just love Pinterest and all of the inspiration and ideas I can get from there! 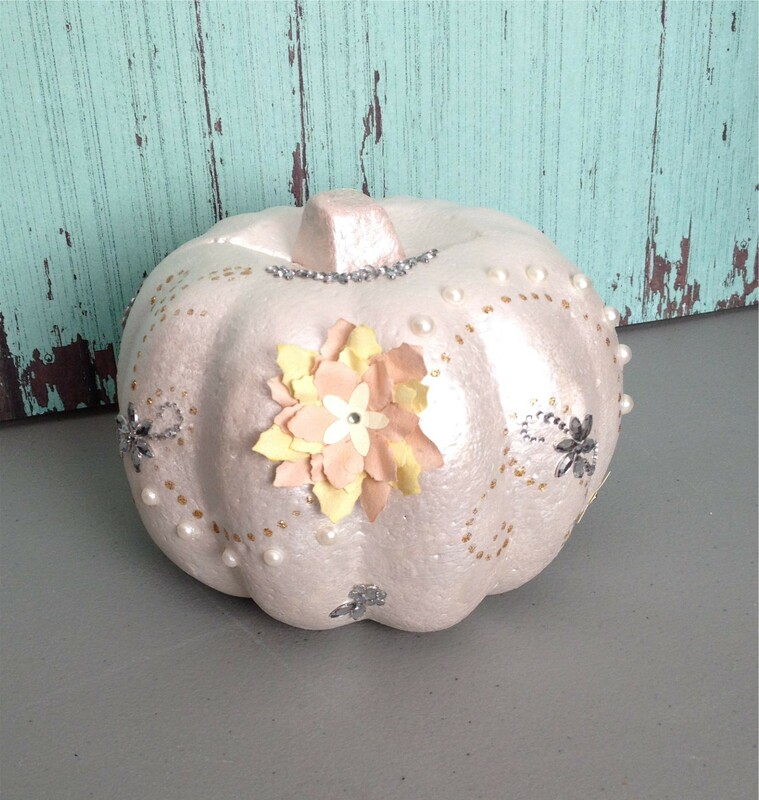 This entry was posted in General Crafts and tagged decorated pumpkins, dollar store crafts, embellished pumpkins, fall crafts, Halloween crafts, styrofoam crafts.